Sign up for the Deep Cuts newsletter! Deep Cuts is my monthly newsletter than provides deeper dives into the interviews and discussions behind my up-coming book, Killing Giants: 10 Strategies to Topple the Goliath in Your Industry (Portfolio, March 2011). 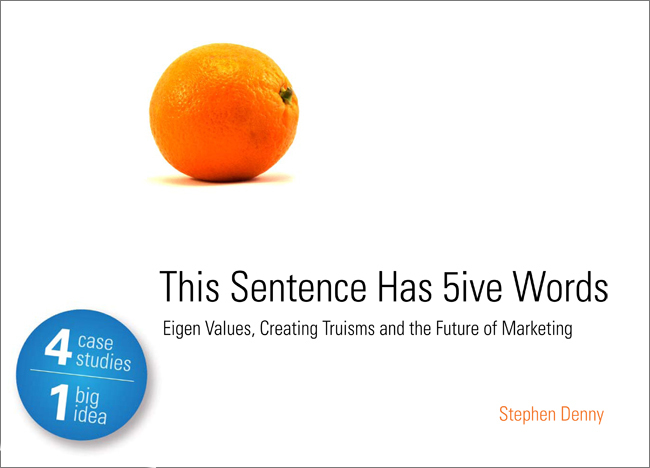 And while you’re here, please feel free to download my e-book, This Sentence Has 5ive Words: Eigen Values, Creating Truisms and the Future of Marketing by clicking on the image to the right.Thanks, as always, for reading and sharing your thoughts!